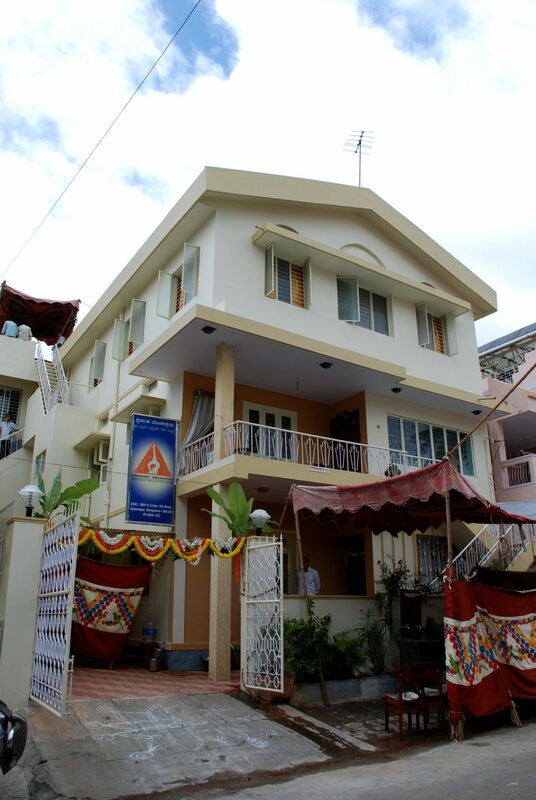 Prashant Yogashraya is committed to propagate the teachings of Sri B K S Iyengar in Bangalore. The center has been named after Sri B K S Iyengar's son Prashant as a mark of respect towards him. The center inculcates principles and ideologies of Sri B K S Iyengar who strongly propagated the significance of self-awareness. The yogasanas practiced at the center raise the practitioner's levels of awareness and enhances their poise. Teachers at the center stress on physical aspects such as practicing various postures with elegance that in turn push practitioners towards increased self-confidence and self-realization. The center is equipped with special features such as appropriate flooring, varieties of yoga props and adequate ventilation. It acts as a path to withdraw from the mundane and spiral out towards self-actualization. Prashant Yogashraya has more than 300 students attending the classes in Jayanagar. Prashant Yogashraya just celebrated its 25 years in Sept 2009 for 3 days. Guruji Dr B.K.S. Iyengar blessed the occasion. The silver jubilee function was held at R.V. Dental College Auditorium on 5th Sept 2009 where 900 people participated in the celebrations. Dr B.K.S. Iyengar, Justice Shylendra Kumar and Dr Sabita Ramamurthy graced the occasion. Sri Arunji gave a Yoga demonstration on the occasion.